In Fort Myers, there are many places to visit, but The Edison and Ford Winter Estates is one of the most famous sites. Southwest Florida Museum of history is also a must go area because its hold walking tour, it is an excellent way to see and enjoy the downtown of Fort Myers. There is another museum named as Imaginarium; it is a very interactive museum. Its hold number of a display demonstrating the scientific concept. It is a perfect place for kids who love science. On other hands, the Seminole Gulf Railways offers a fantastic trip to visitor covers the surrounding of the countryside. Please don’t forgot to visit the beach because it is the main attraction of Fort Myers. If we talk about where to stay in Fort Myers, there are many perfect and unusual places to visit. Fort Myers holds various chain hotels. The Indigo Hotel is one of the best and favorite for travelers with business and party goers. In downtown, there is The Hibiscus House Bed & Breakfast have excellent food quality with comfortable lodging in an almost 100-year-old wooden house. If you are with the family and looking for accommodation at the beach, you should check out The Pink Shell. Winter of Fort Myers is little unpredictable in December and January you will find sunshine often there. Winter temperature could be as high as 80. You can get lovely spring there as well, with almost 70s to 80s temperature. Summer in Fort Myers is scorching, but what will you care? When you have water pool on the beach. You will never see the crowd there in summer because summer is off season in Fort Myers. Southwest Florida holds legendary beaches, including Sanibel Island. It is famous for shelling. You can find seashell-Laden beaches. There are also beautiful beaches on Estero Island near to Fort Myers; you will find lots of tourist bar offers drinks right on the sand. Peoples love to spend their vacation in southwest Florida. Sunset in Fort Myers is one more thing that must not miss. You can enjoy the sunset at the deck of tour boat or form beach with a cocktail, and this will hold another remarkable memory from Fort Myers for sure. When you are talking about Shelling, padding, walking, golf, tense, and fishing, Fort Myers comes with all these activities. Fort Myers gives their visitor choice of various outdoor activities on all sunny days of the calendar. If you are planning long hiking and canoe rentals, The Lakes Park is the best place in Fort Myers. 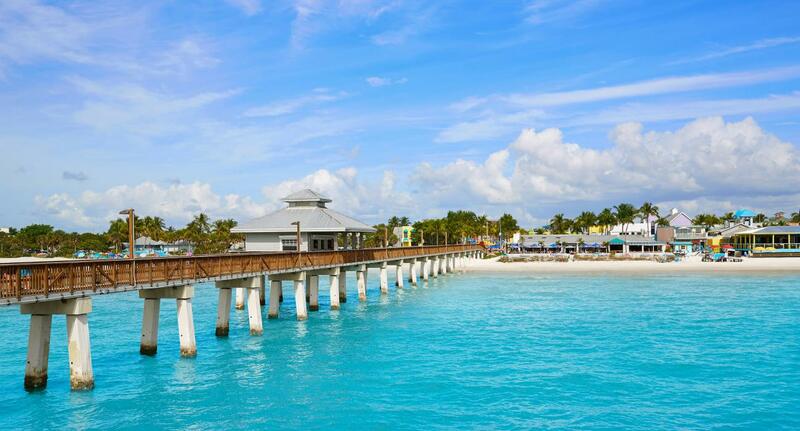 Fort Myers is the perfect place to spend your vacation. Read more to know about Fort Myers.